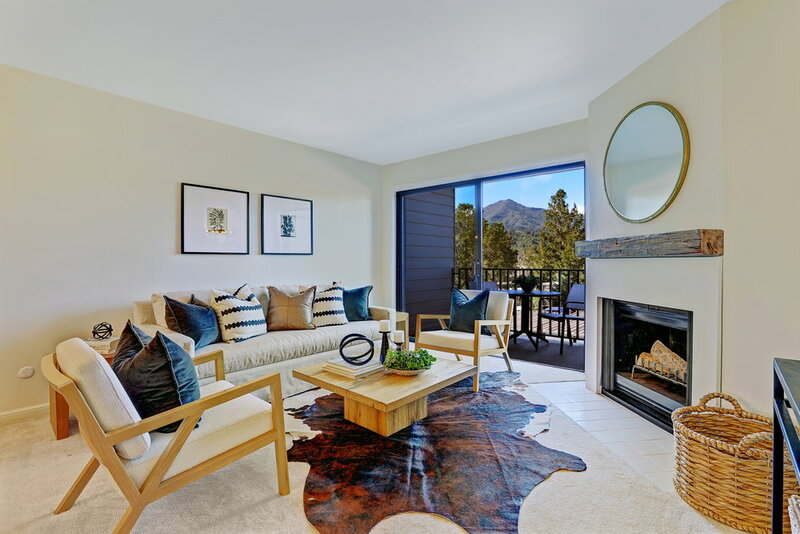 One of the most desirable units in Spyglass, 906 Via Casitas is a stylishly remodeled, upper level 3 bedroom condo with a striking view of Mount Tamalpais. 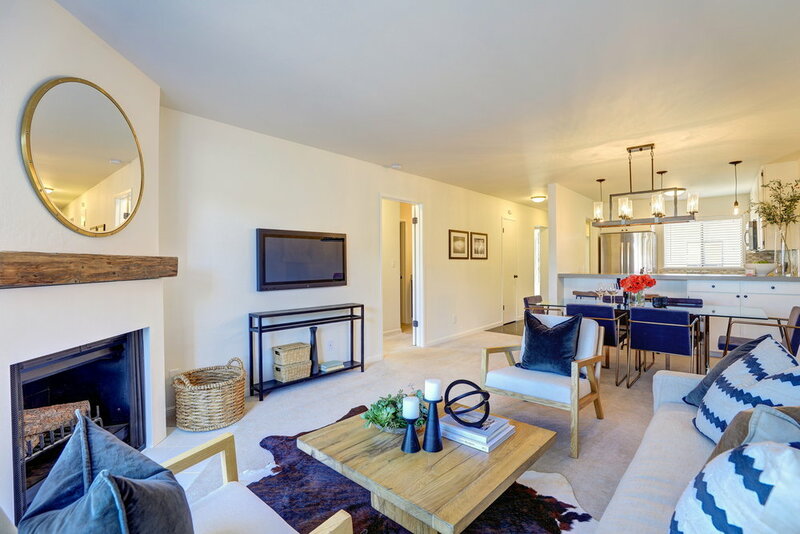 The open floor plan lives and feels like a single-family home, with ample natural sunlight enjoyed from every room. 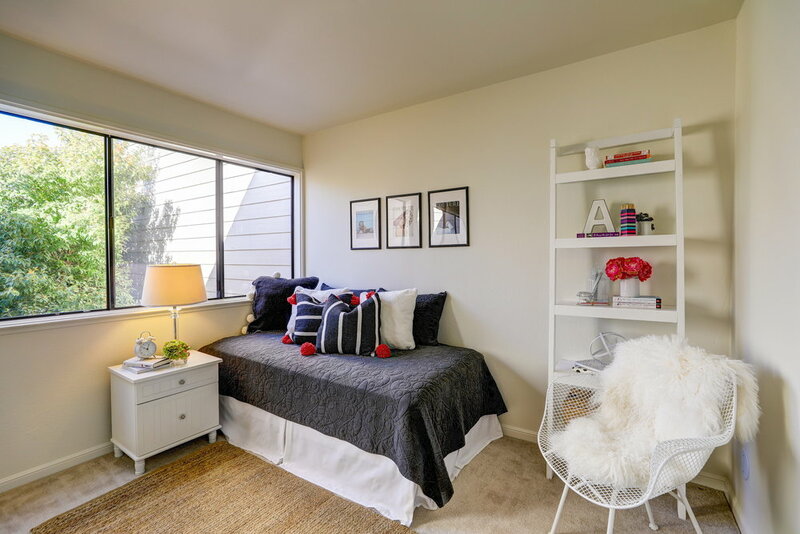 Plus, with wonderful amenities including two-car parking, a heated pool, hot tub, sauna, tennis courts and in-unit laundry, it’s hard not to fall in love with 906 Via Casitas. 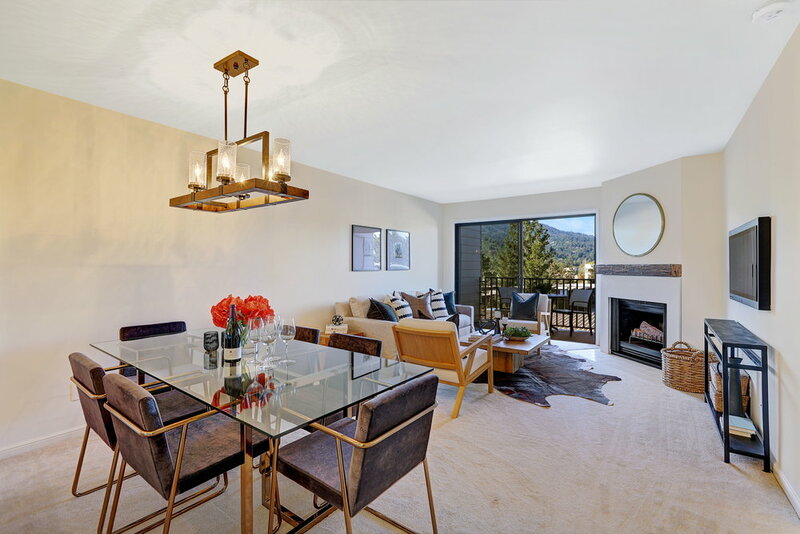 One of the most desirable units in Spyglass, 906 Via Casitas is a stylishly remodeled, upper level 3 bedroom condo with a striking view of Mount Tamalpais. 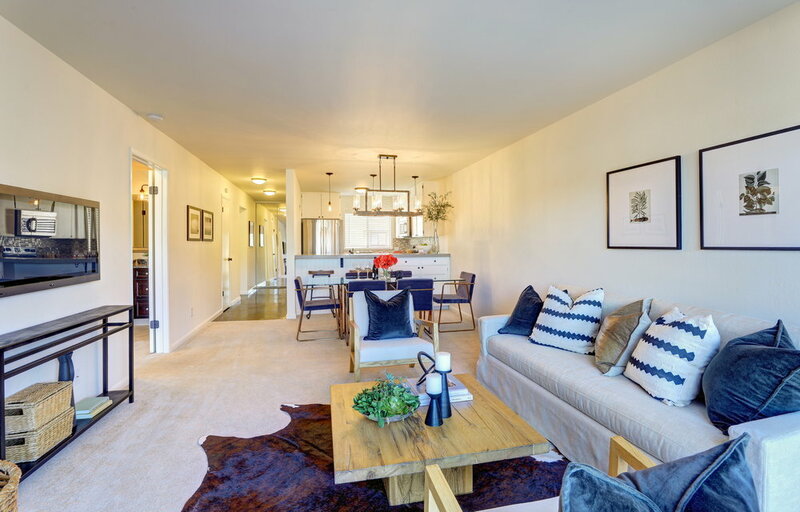 The open floor plan lives and feels like a single-family home, with ample natural sunlight enjoyed from every room. 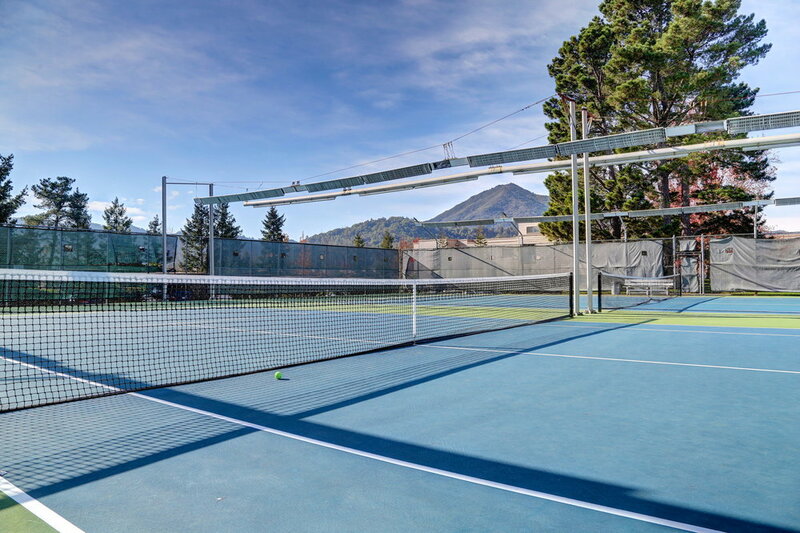 With wonderful amenities including two-car parking, a heated pool, hot tub, sauna, tennis courts and in-unit laundry, it’s hard not to fall in love with 906 Via Casitas. The feeling of warmth and comfort is felt from the moment you walk through the front door. 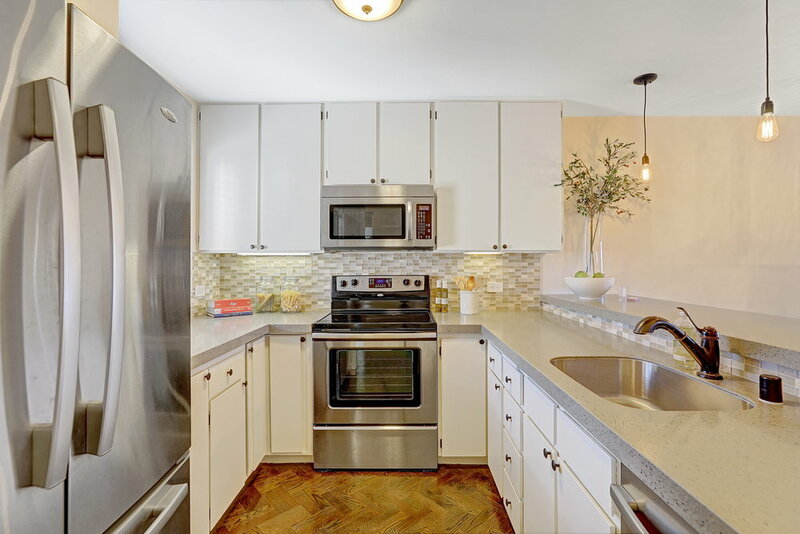 An updated, open kitchen sits to the left with stainless steel appliances, quartz countertops, freshly painted white cabinetry and bar seating. Adjacent to the kitchen is a spacious dining and living room for home entertaining or cozy lounging alike. 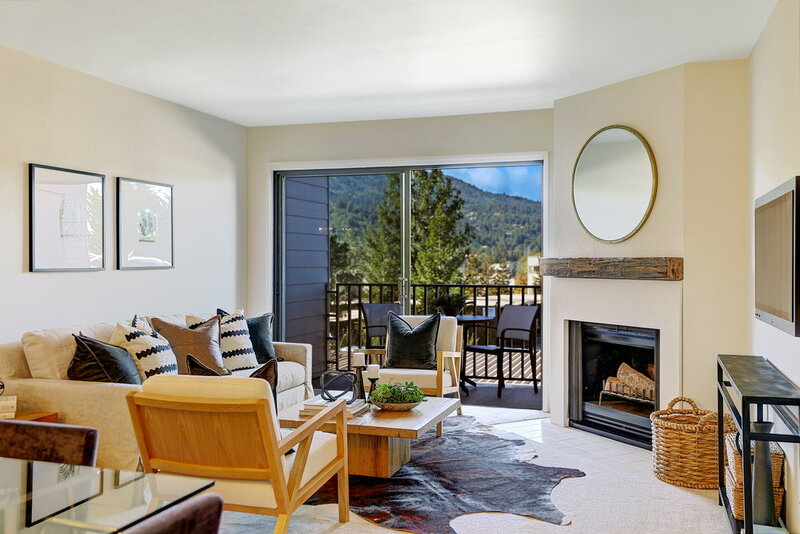 Sit by the wood-burning fireplace in colder months with incredible views of Mount Tamalpais from the living room and open back balcony. 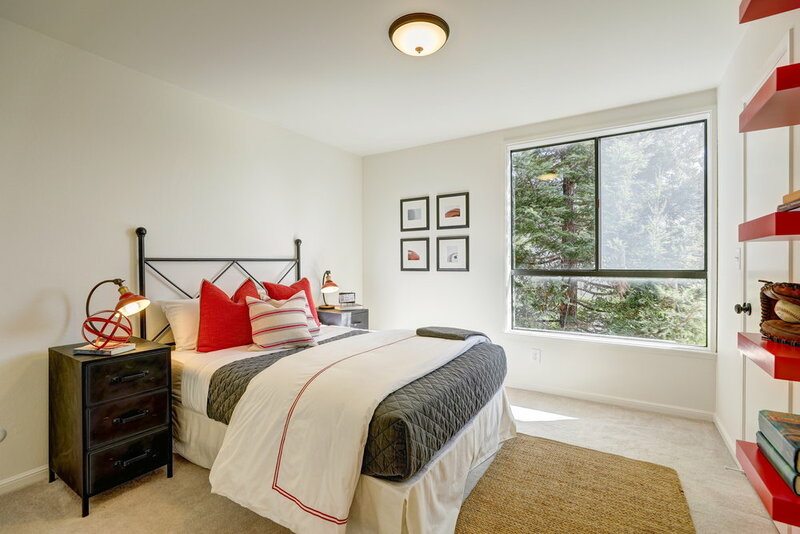 Wake up to beautiful views of Tam from the master suite which enjoys wonderful natural light year round. 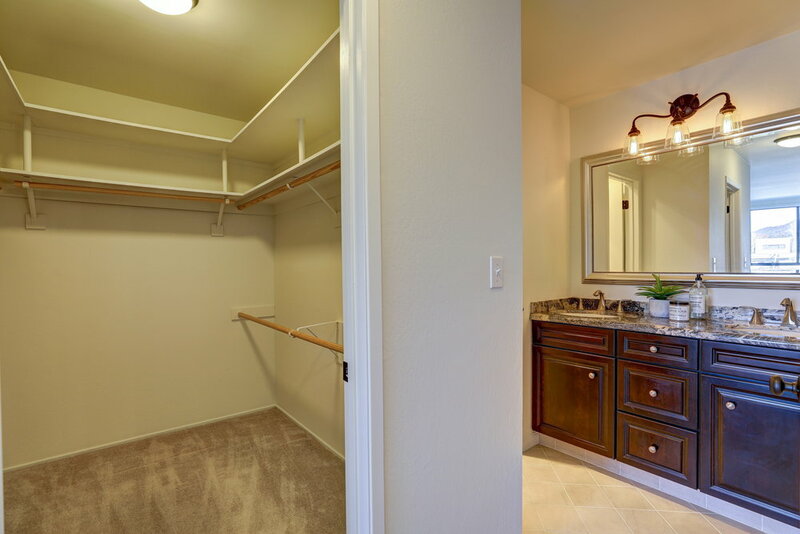 The master suite is large enough to comfortably fit a king-sized bed and includes a large walk-in closet, updated dual-sink vanity and private bathroom / shower to make the morning routine a breeze. 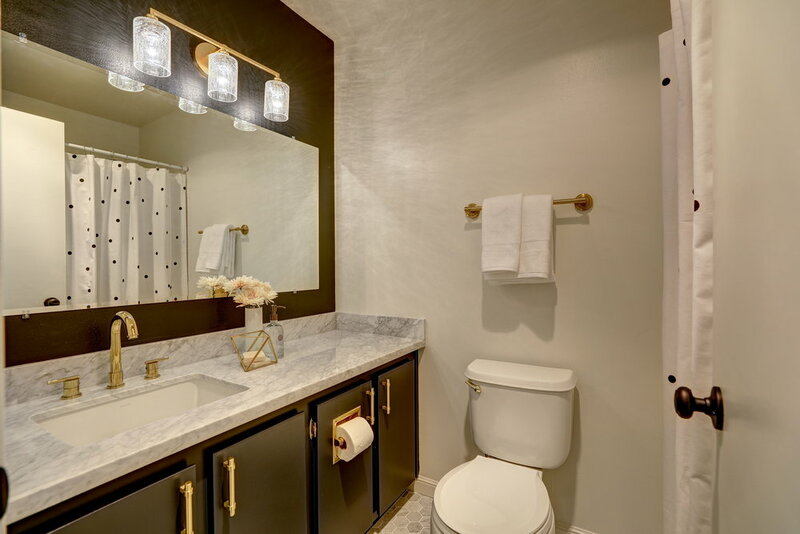 Two additional good-sized bedrooms, a newly remodeled full guest bathroom and in-unit laundry extend off the hallway accessed from the front door. The location of 906 Via Casitas cannot be beat. 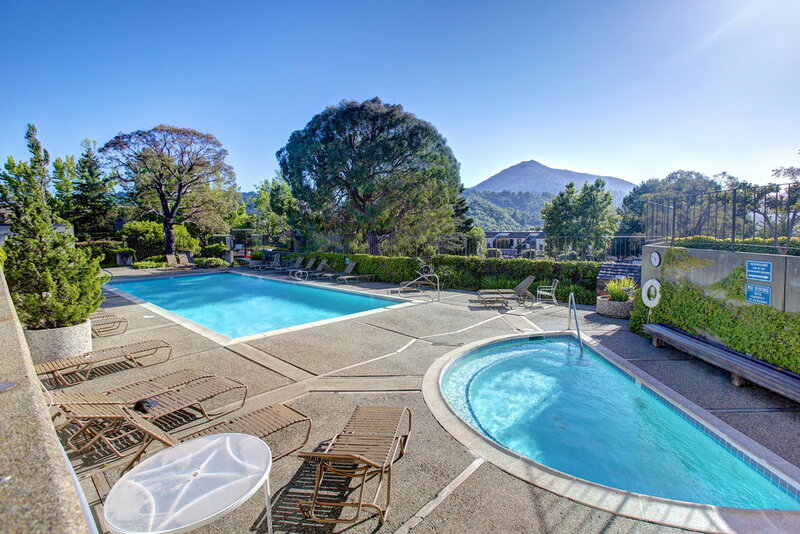 The home enjoys close proximity to shopping, restaurants, public transportation, bike paths, parks and falls within the award-winning Kentfield School District. A short drive to the 101 and Larkspur Ferry terminal for those commuting to work. 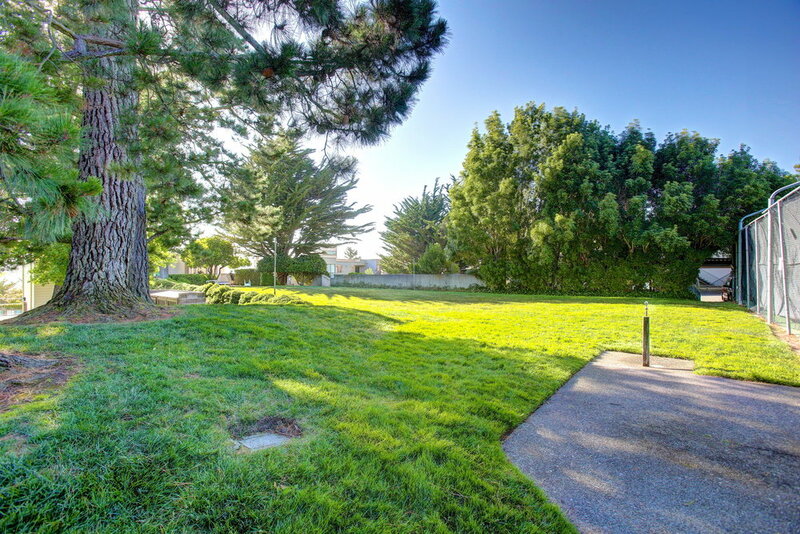 With Greenbrae and Larkspur’s growing community of shops and restaurants, you’ll love being within close range to the new Gott’s Roadside, Patxi’s Pizza, Pete’s Coffee, Noah’s Bagels, Rustic Bakery, Molly Stone’s, Farmshop, AMC Theater, The Bar Method, Soul Cycle, Bed Bath & Beyond…and beyond! Stainless steel kitchen appliances including double-door refrigerator, 4-burner range, dishwasher and built-in microwave. 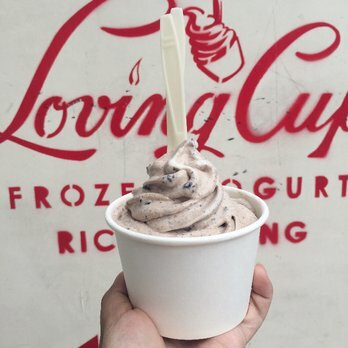 A variety of local shops, restaurants and attractions including the new Gott’s Roadside, Patxi’s Pizza, Pete’s Coffee, Noah’s Bagels, Rustic Bakery, Molly Stone’s, Farmshop, AMC Theater, The Bar Method, Soul Cycle, Bed Bath & Beyond…and beyond!